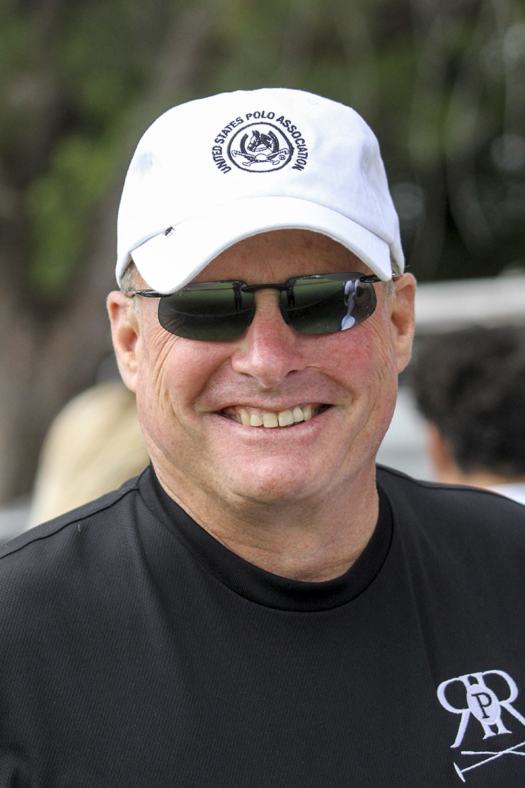 Chairman of the USPA Umpires, LLC, since its inception, Britt Baker has played a significant role in the transformation and success of the umpire programs over the past six years. 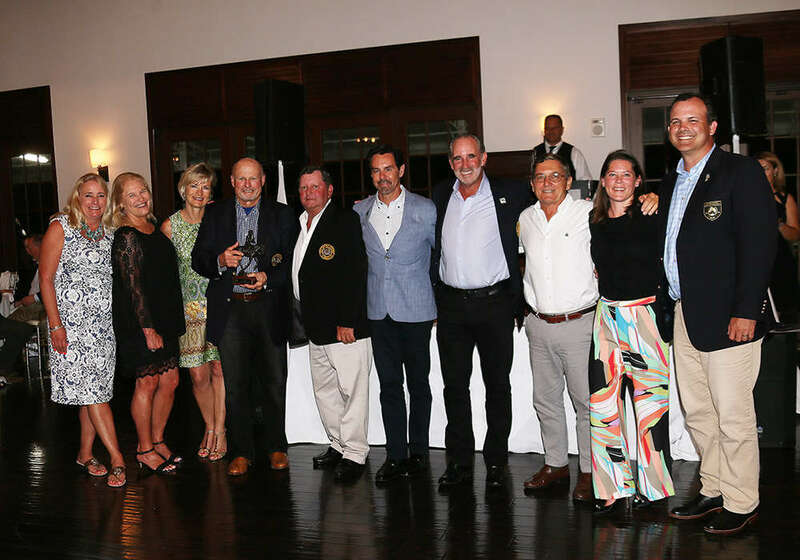 Humbled to receive the Tom Hughes Umpire Award, Baker was presented with the bronze during the USPA/Polo Training Foundation (PTF) awards ceremony at the International Polo Club Palm Beach in Wellington, Florida. Awarded to Head Umpire Instructor Steve Lane in 2017, this national award is given to a member who has demonstrated outstanding service to Umpires LLC. Originally from De Moines, Iowa, Baker made the transition from roping to polo almost 30 years ago and never looked back. An equestrian since high school, Baker first attended roping school and clinics in Iowa until a friend in polo suggested he give the exhilarating sport a try. Instantaneously hooked, he bought a few horses and focused on developing his new skills, traveling to West Palm Beach, Florida, to participate in a clinic with Major Hugh Downey. Nearly two decades later, Baker attended Downey’s umpire clinic on rules, a precursor to serving on Umpires LLC. Applying his business acumen as Chief Executive Officer of his three companies, Baker Electric, Electrical Power Products, and Electro Management Corporation to the volunteer position, Baker has rapidly elevated the standards of umpiring across the United States and globally. Dedicating countless hours to furthering the progress of umpiring, Baker has carved out a career path for the next generation of professional umpires. “I was completely blind sighted because I had no idea that I was going to be given the award,” Baker commented. 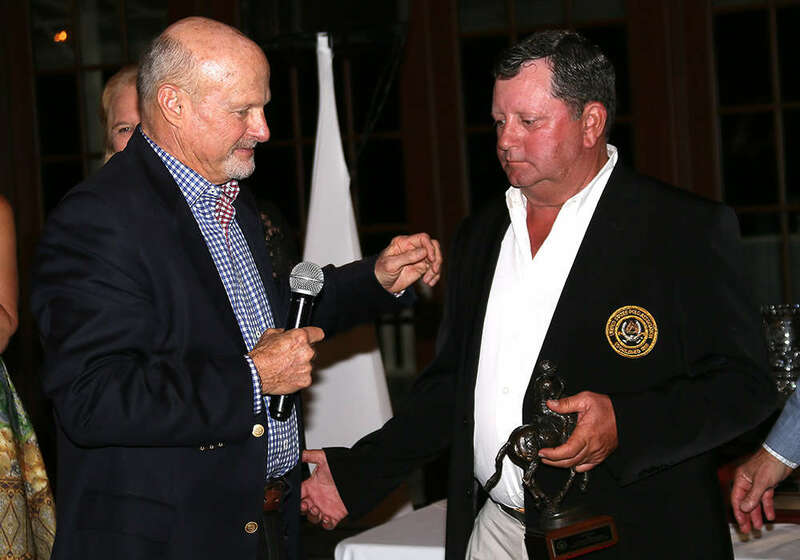 “It’s a humbling accomplishment and I’m very honored that I did receive it.” Leading Umpires LLC, in the right direction, Baker continues to improve the quality of the sport by continually exceeding the call of duty.